Stobart Air will pull the plug on it’s operation at Shannon Airport today despite several consecutive months of increasing passenger figures. The franchise flying partner to Aer Lingus confirmed the move in November and said the decision was ‘regrettable’ and followed a review of its services at Shannon. The airline had operated a total of 20 weekly flights to Birmingham, Bristol and Edinburgh which saw a 43% rise in September alone compared to the same month in 2013. The company has not however released figures for Shannon in subsequent passenger number reports. In October, Stobart axed it’s Shannon to Manchester service a day after Ryanair commenced operations on the same route. In November, several weeks after telling workers at Shannon of it’s intention to close the base there, the airline finally confirmed it’s plans for Shannon. Passenger’s who had bookings with the airline learned of the move in the media and expressed anger at the way they were treated. Meanwhile, Aer Lingus yesterday suspended operations on it’s Shannon to New York route for the remainder of the winter schedule. Every year since 2009, the airline has suspended flights from Shannon to New York and Boston between January and March because the route was not economical. Aer Lingus will however retain the Boston route this year although it had been hoped that the New York service would also be a year-round operation after the airline introduced smaller, more economical Boeing 757 aircraft on the routes. The airline will however reintroduce the New York service two weeks ahead of schedule in time for the busy St Patrick’s Day holiday. “The reduction in scheduled operations for the three Boeing 757 aircraft facilitates the winter maintenance programme,” Aer Lingus said. Shannon Airport, which scooped several international awards last year, enjoyed another massive year of growth in 2014 including a 26% rise in passenger numbers in November and a 15% increase over the Christmas period. 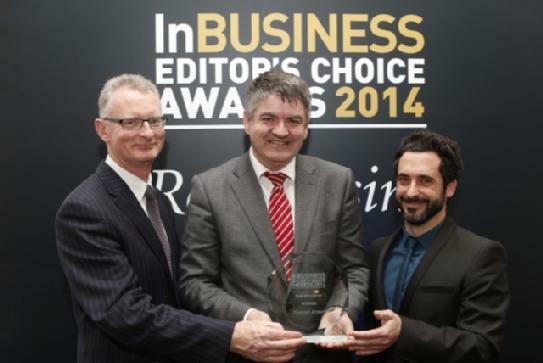 Shannon Airport rounded off a very successful 2014 with another award.